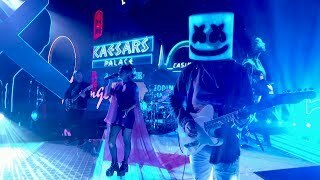 Marshmello & CHVRCHΞS Perform “Here With Me” on Jimmy Kimmel Live! 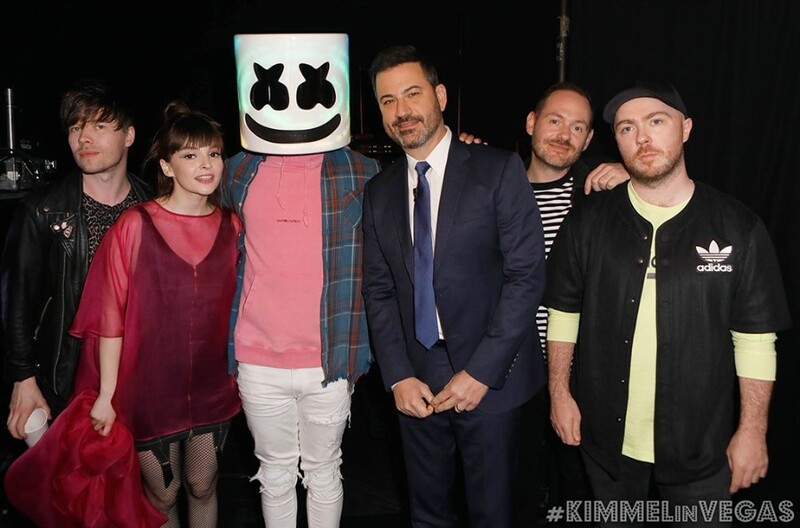 American producer Marshmello and Scottish electro-pop trio CHVRCHΞS appeared on Jimmy Kimmel Live in Las Vegas. Both artists performed their lates collaboration song “Here With Me”. Also, they dropped a new music video for the song, directed by Mercedes Bryce Morgan. Last month, Marshmello released another version of the video. But this time, the clip is reminiscent of 1991 film "Backdraft". The song was released on earlier March and written by Steve Mac, Martin Doherty, Marshmello, Lauren Mayberry and Iain Cook. It marks the first time both artists have collaborated. 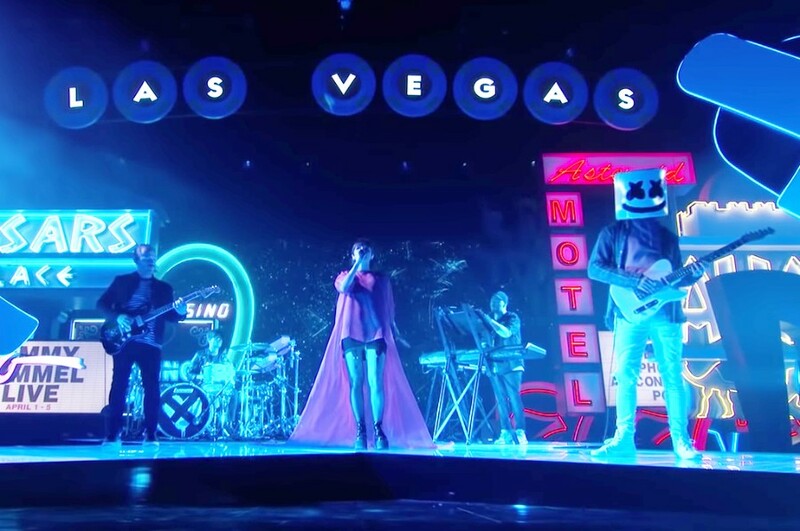 Kimmel’s show is broadcasting from Las Vegas this week, an arrangement that has already given us a special appearance from hometown heroes the Killers, who performed the latest song “Land Of The Free” and 2004's song “All These Things That I've Done”.